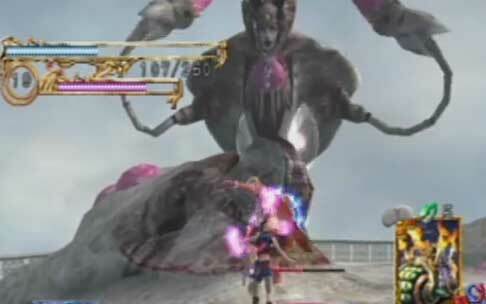 The God of Harmony is the final boss in Lost Kingdoms II (Rune II in Japan) released in 2003 for the Nintendo Gamecube by From Software. It did not appear in any other video games. 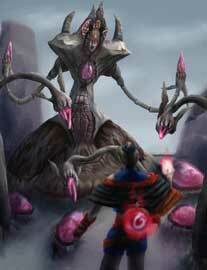 I found absolutely no concept art of this boss, if there is any, please send it to me via a comment. The God of Harmony was one of the surprises during the RPG Art Challenge and was illustrated by Ygdrassal for this art collaboration in April 2015. So far it looks to be the most detailed illustration ever of this game character, thanks a lot for creating it @Ygd.